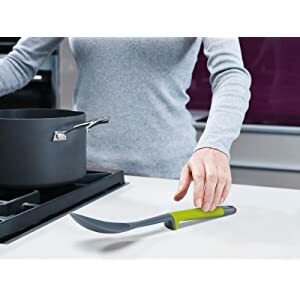 Joseph Joseph’s Elevate kitchen utensils are designed to improve hygiene and reduce mess. Weighted handles and integrated tool rests prevent tool heads from touching the countertop when placed down. Utensils are dishwasher-safe; carousel stand should be wiped clean with a damp cloth. Suitable for non-stick and stainless-steel cookware. 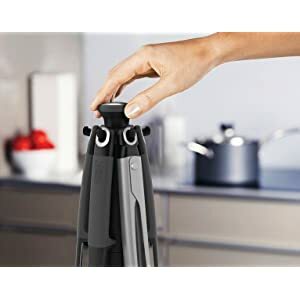 Each tool has an innovative weighted handle with an integrated tool rest, ensuring that when an Elevate utensil is placed down, its head is always raised off of the work surface.